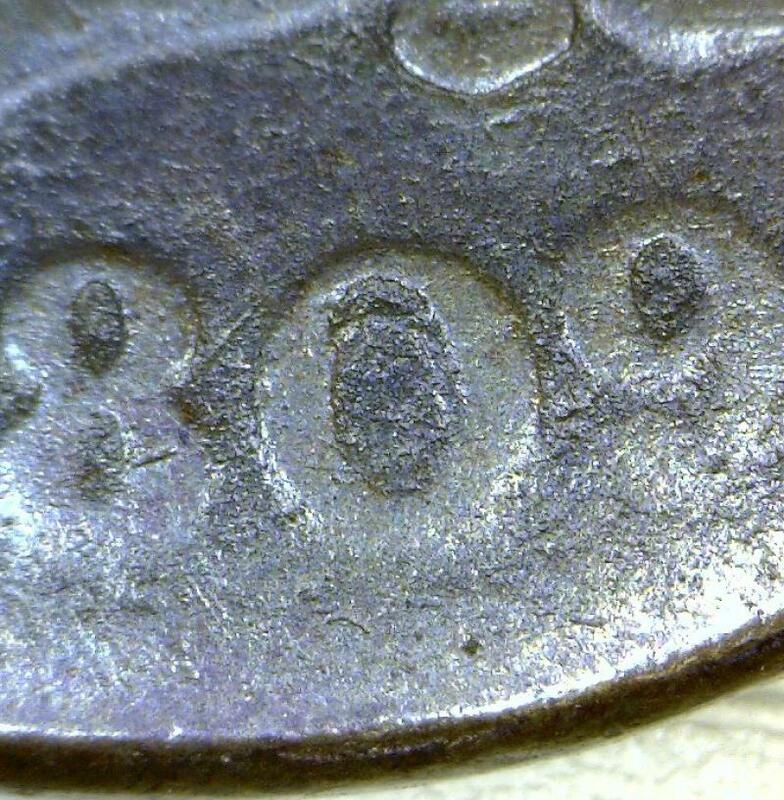 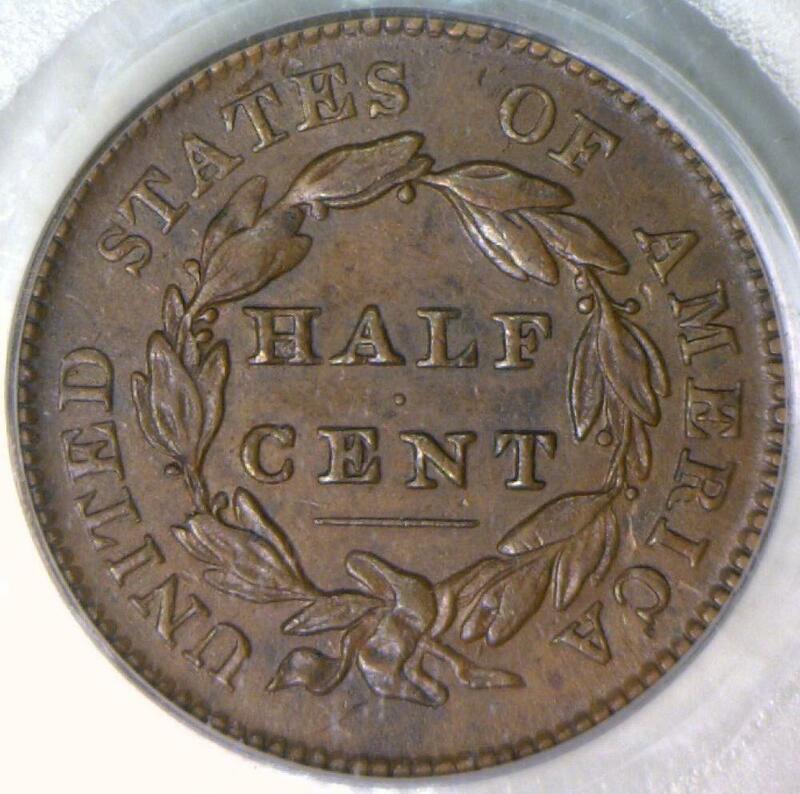 1833 Half Cent; S.M Counterstamp, Brunk #35455; ICG MS-60 BN! 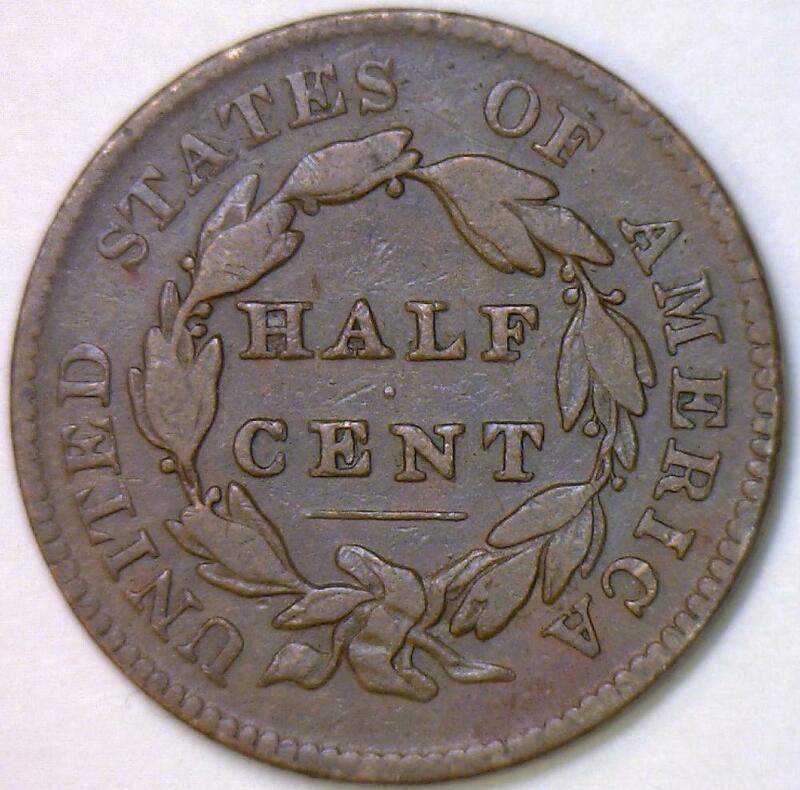 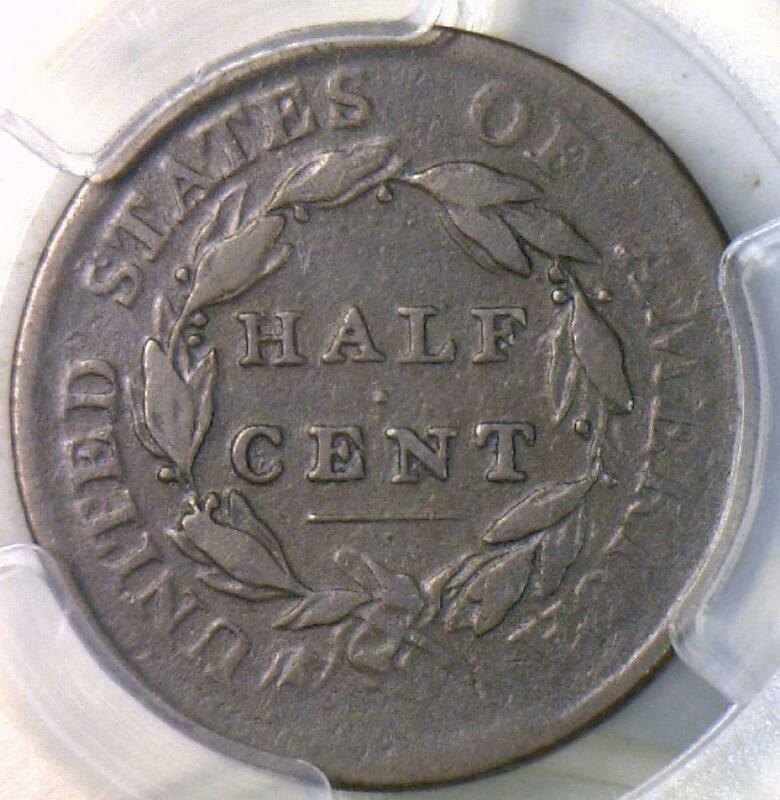 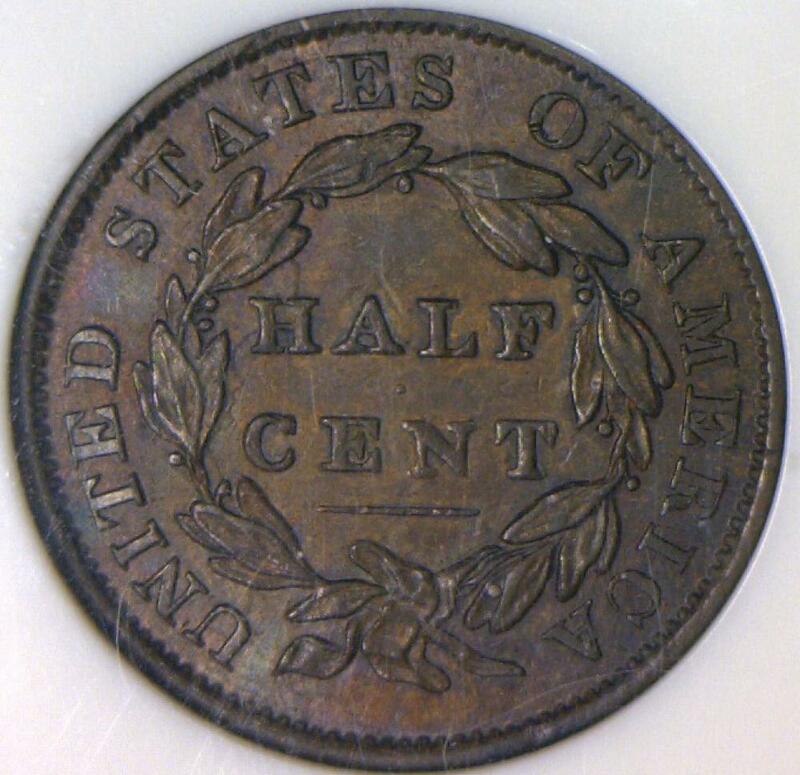 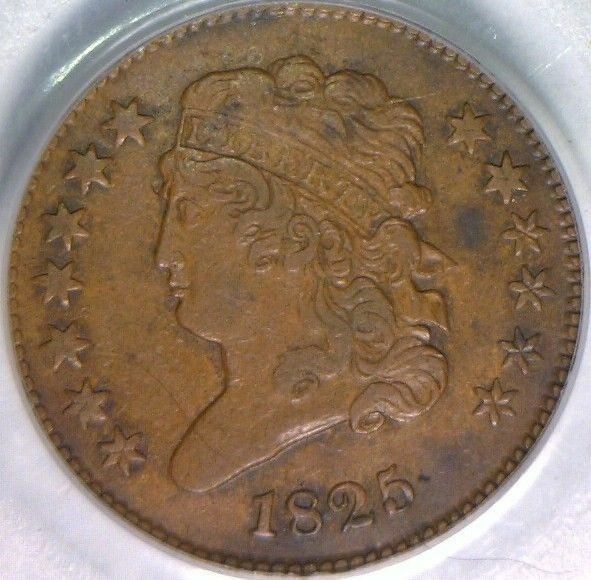 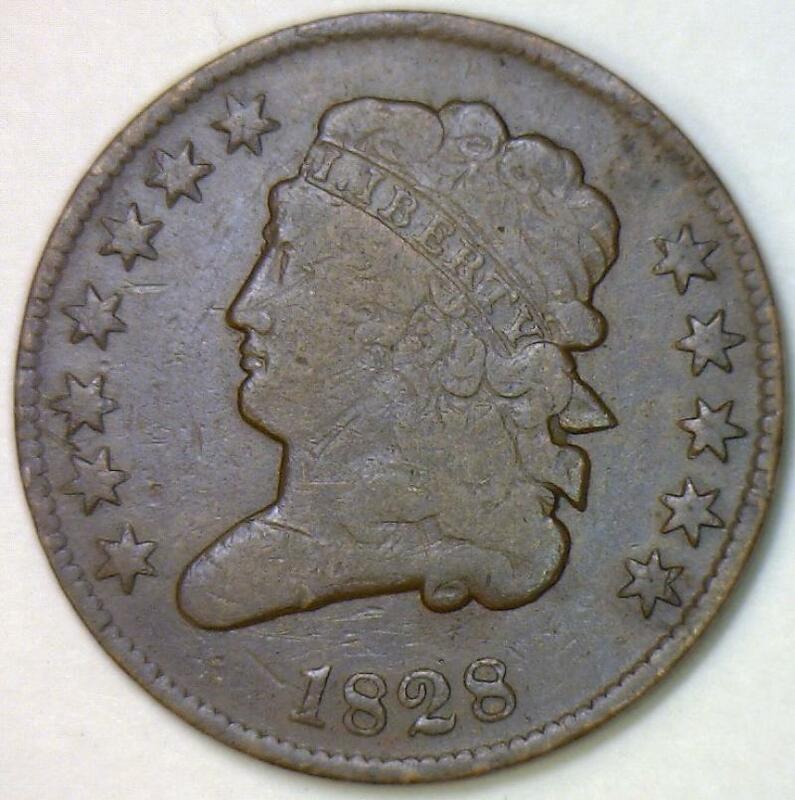 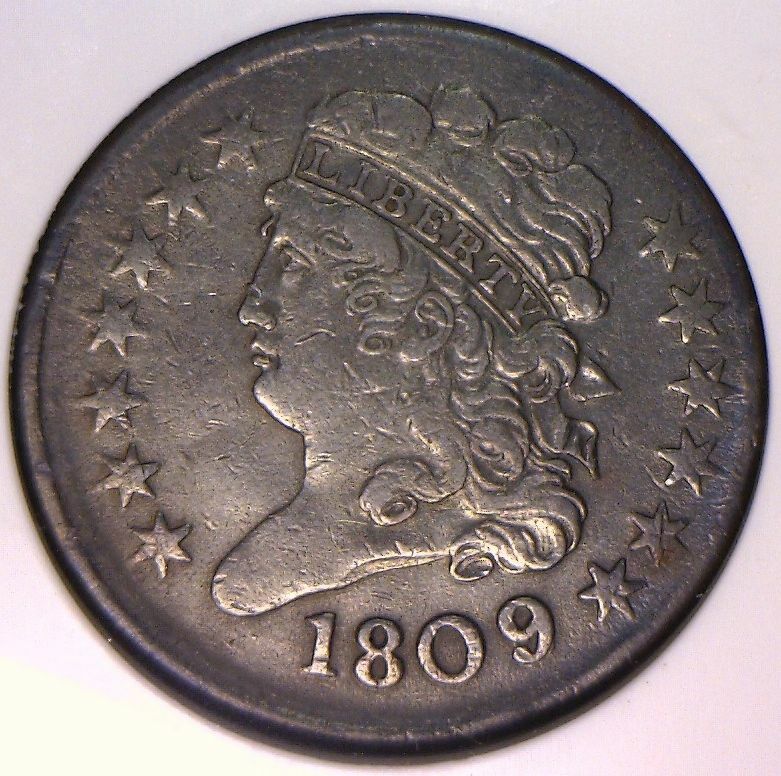 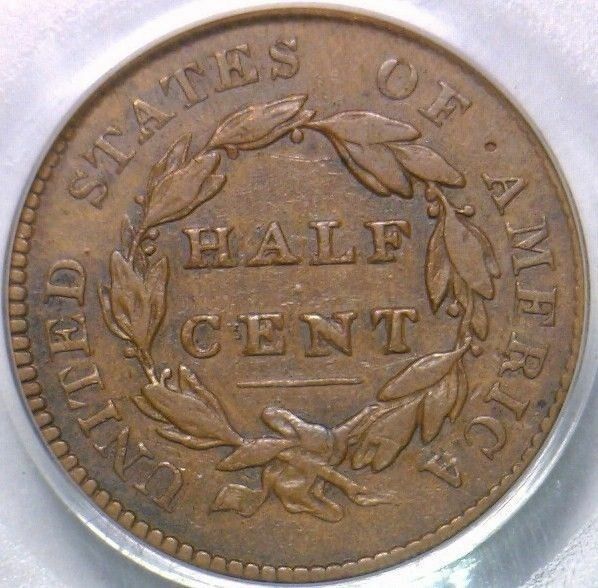 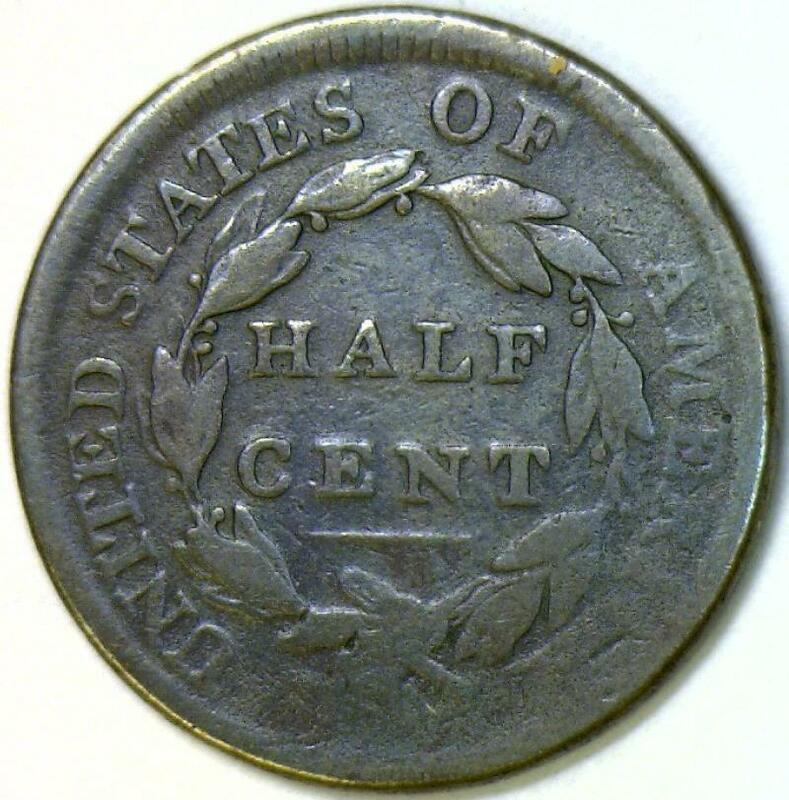 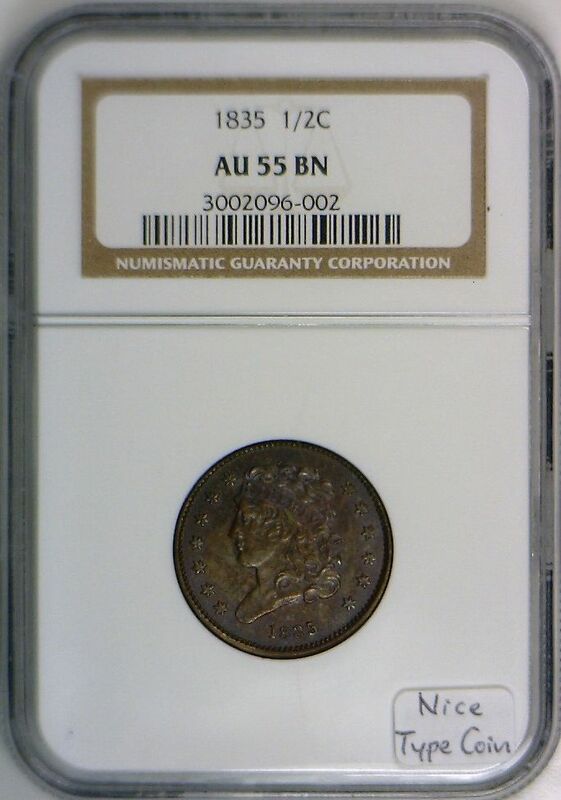 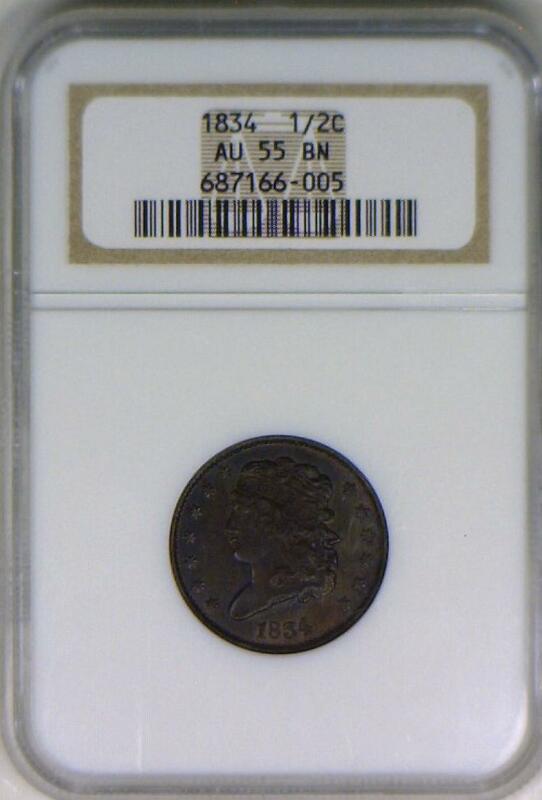 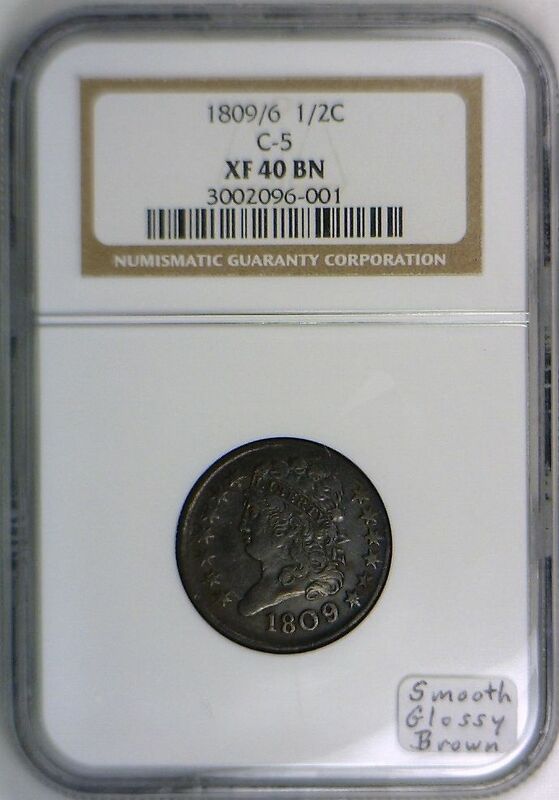 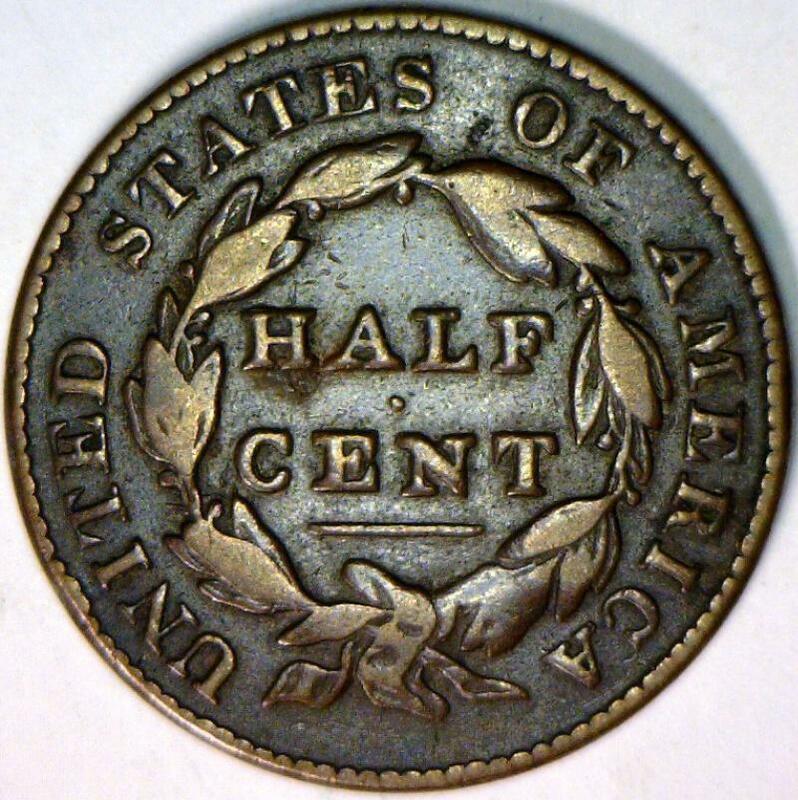 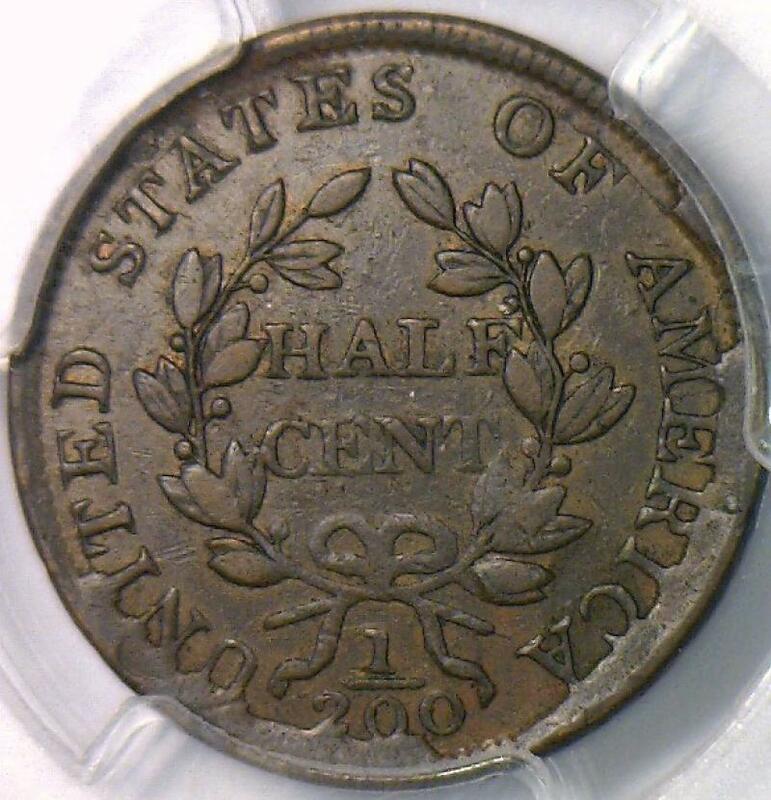 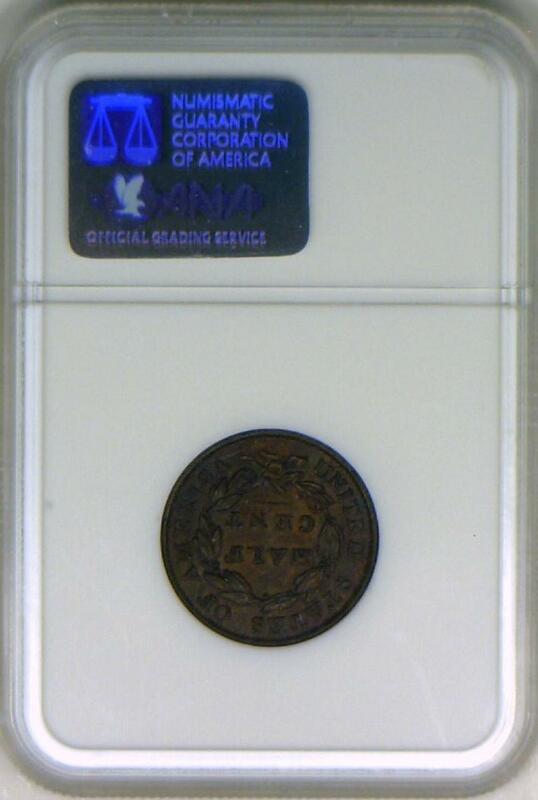 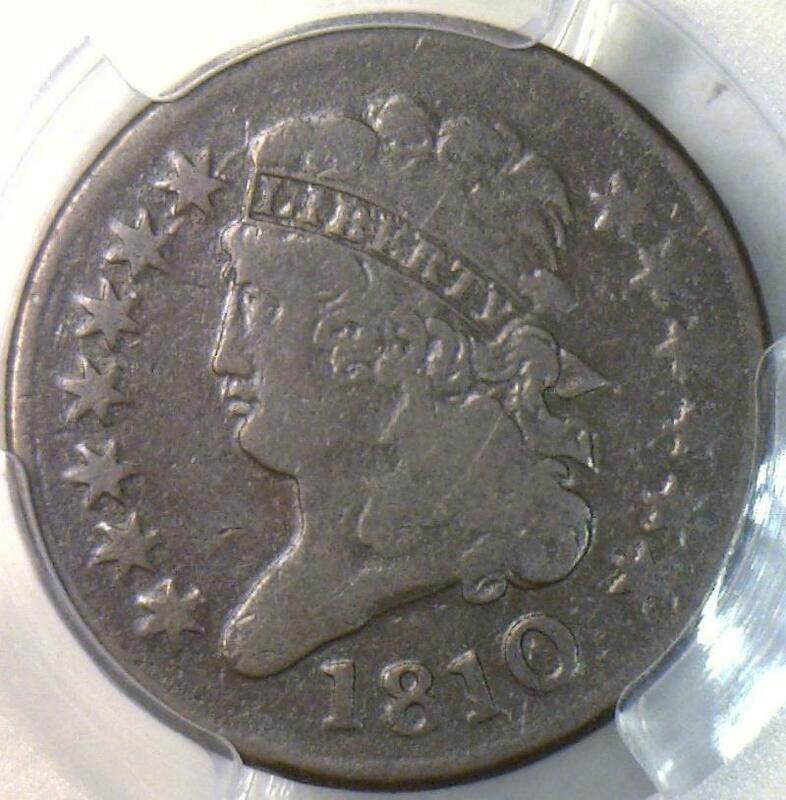 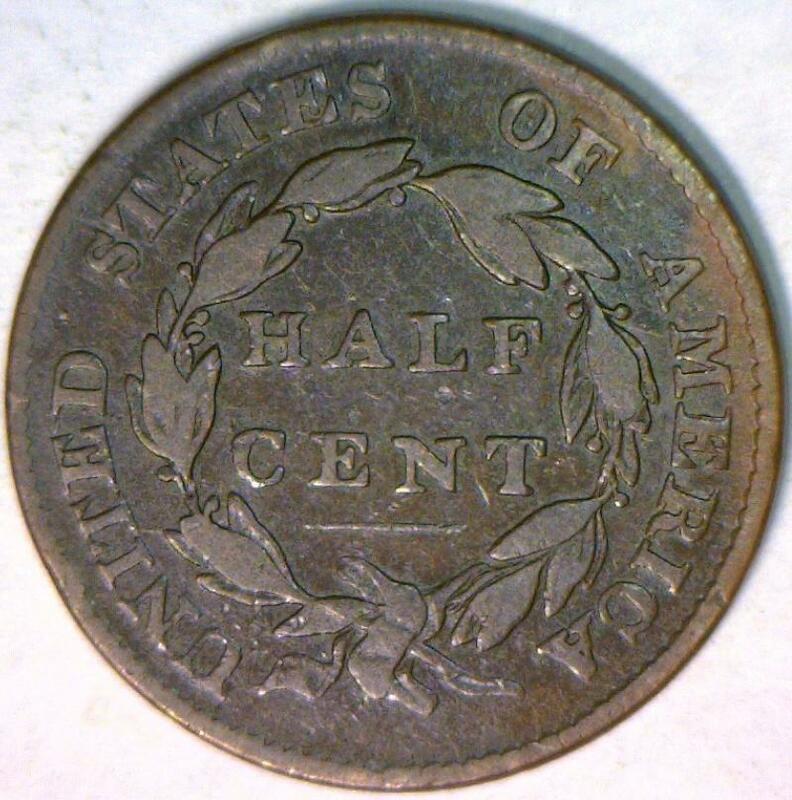 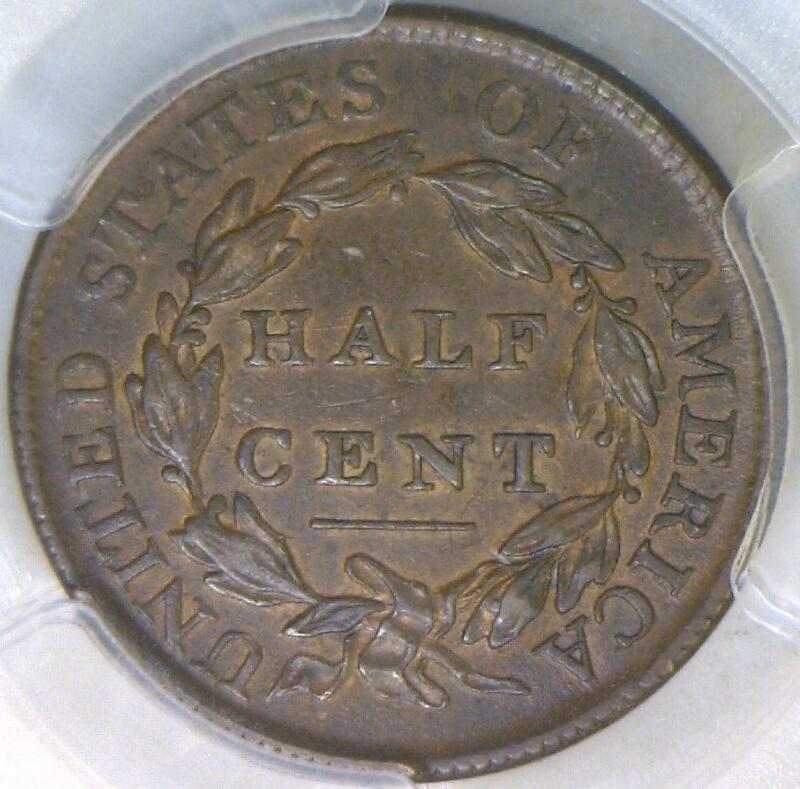 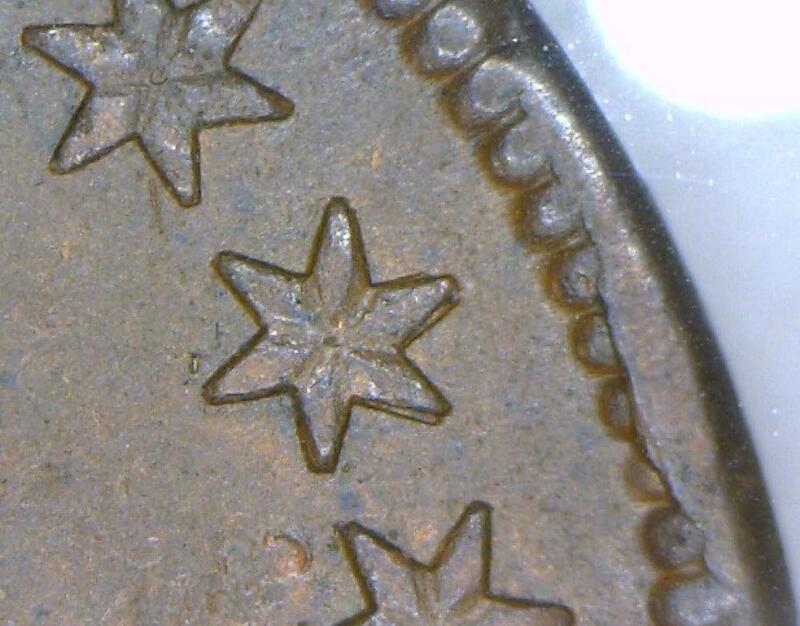 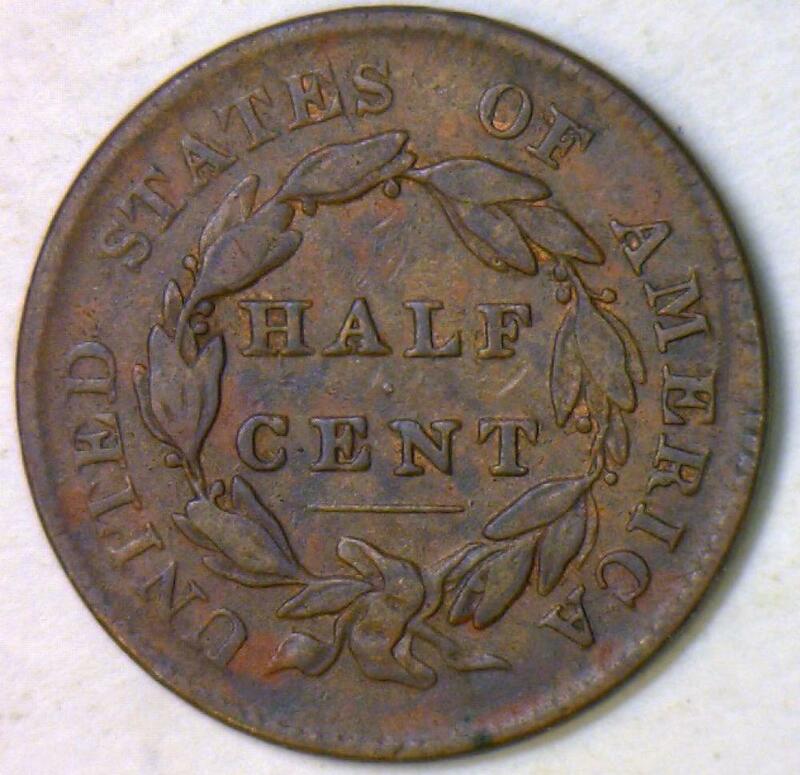 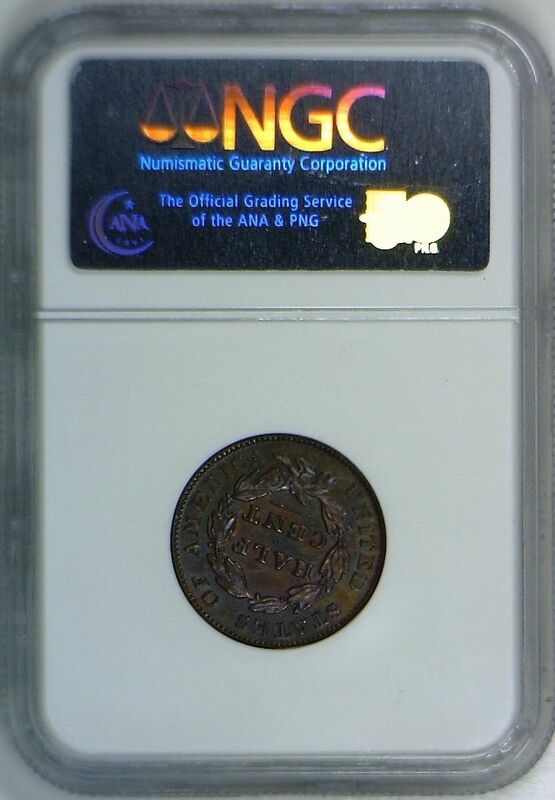 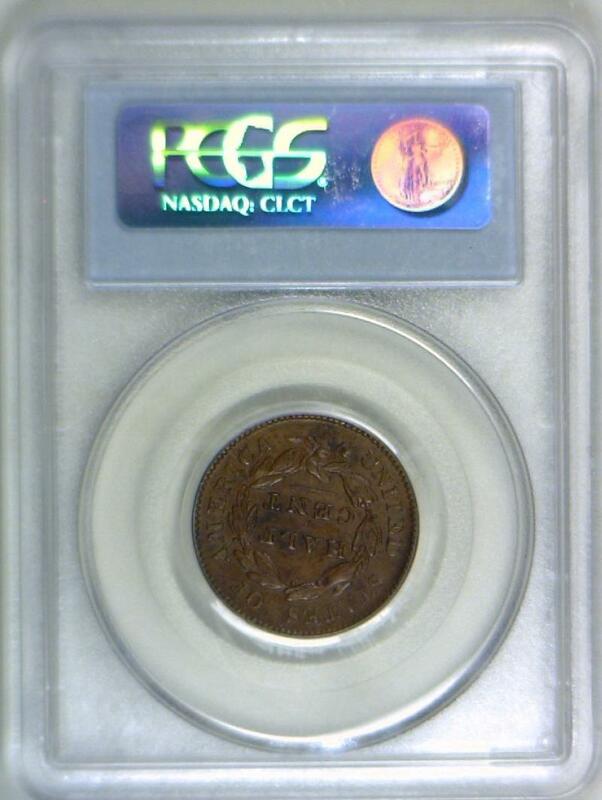 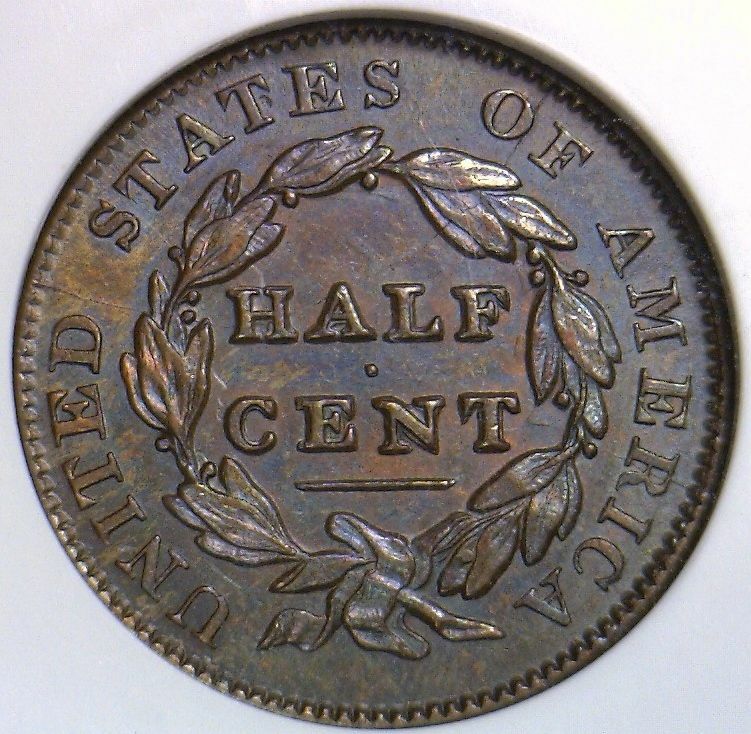 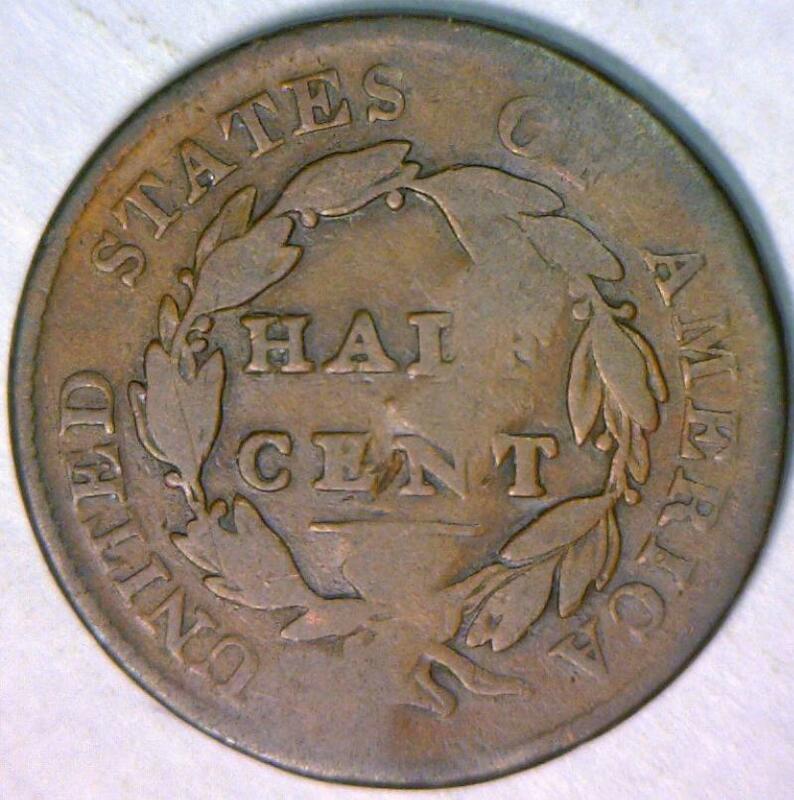 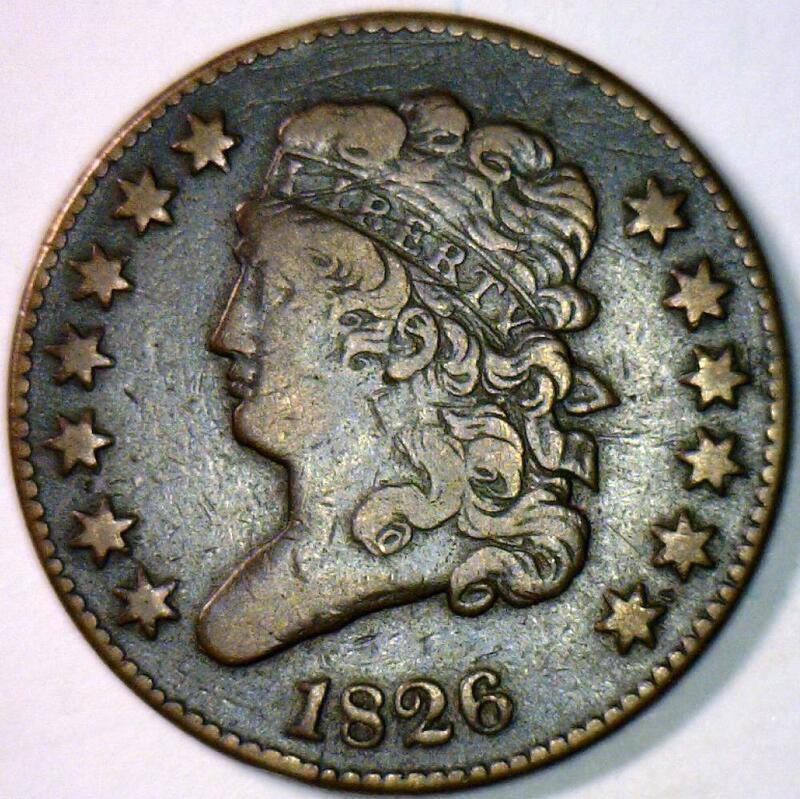 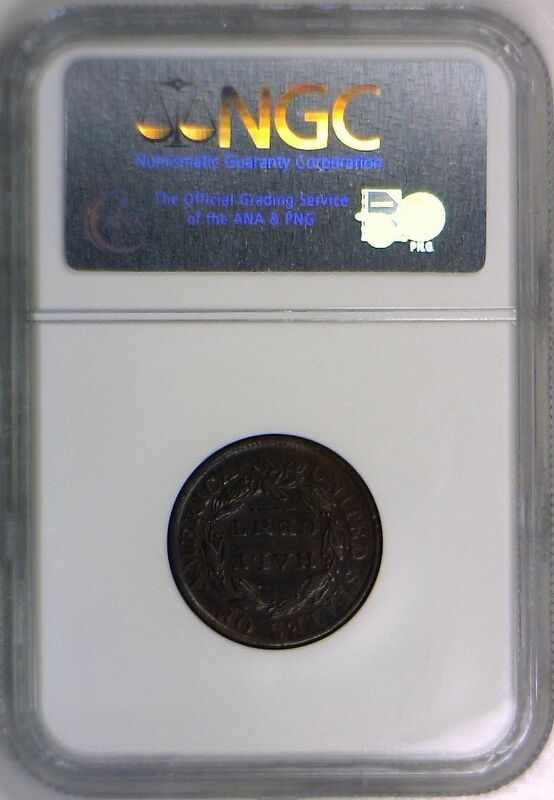 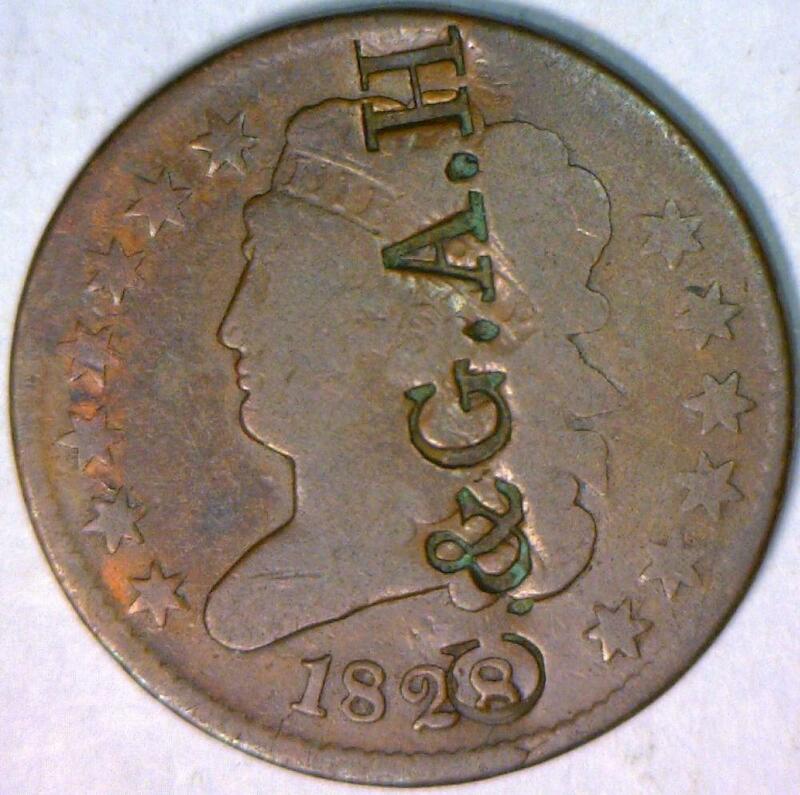 1835 Half Cent NGC AU-55; Nice Type Coin! 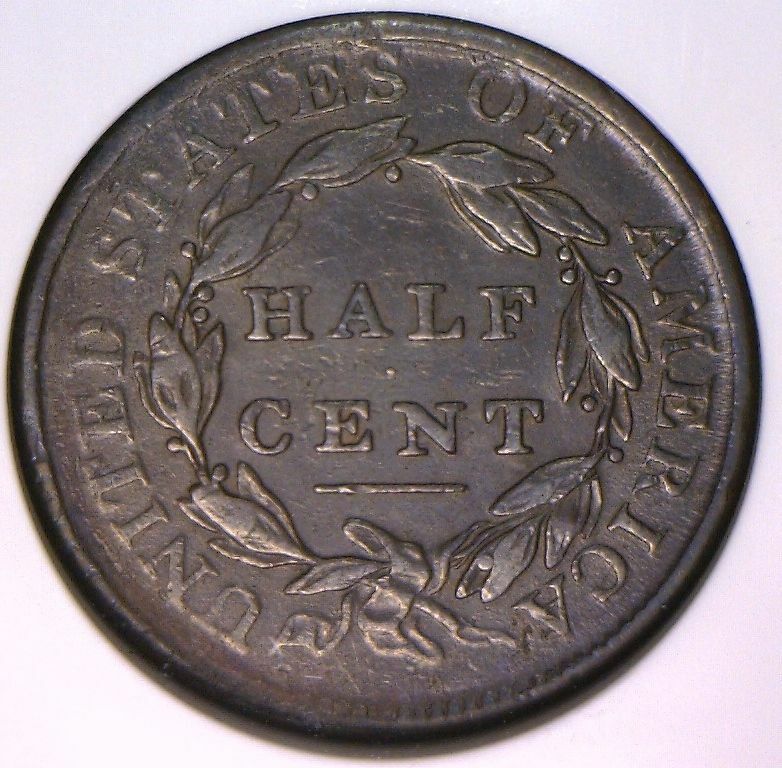 1809 "Circle in O" Half Cent; VG; C-4, R-3; Scarce! 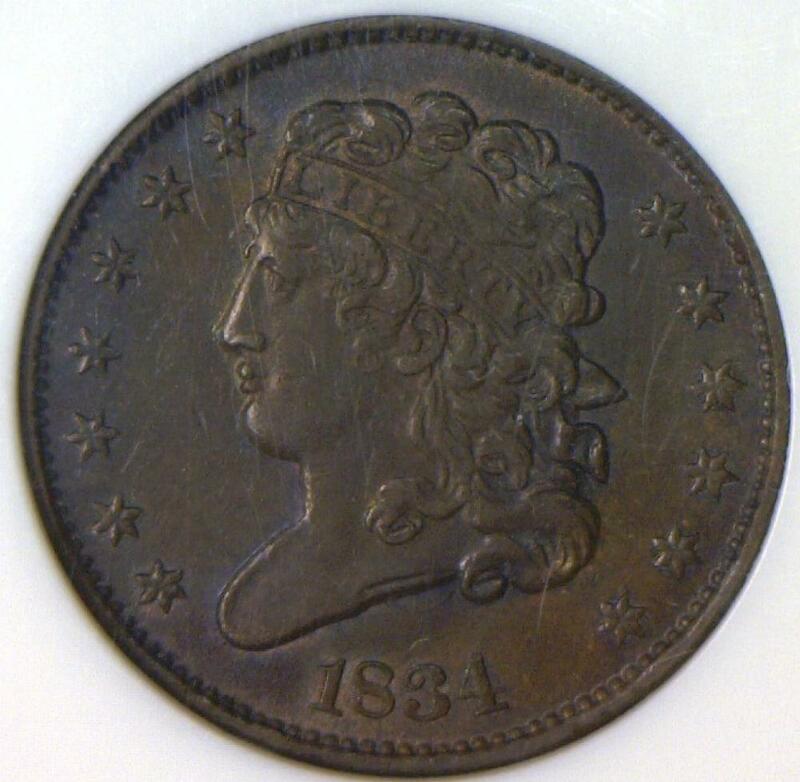 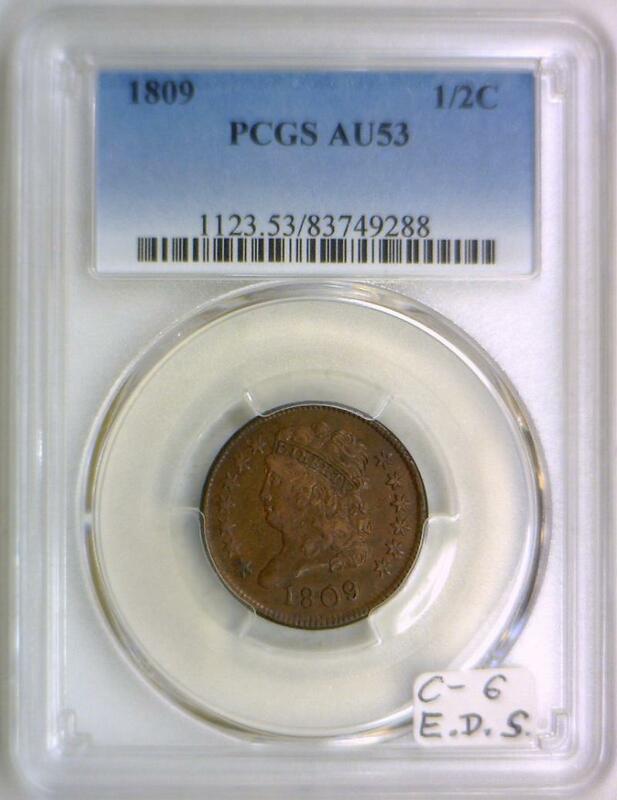 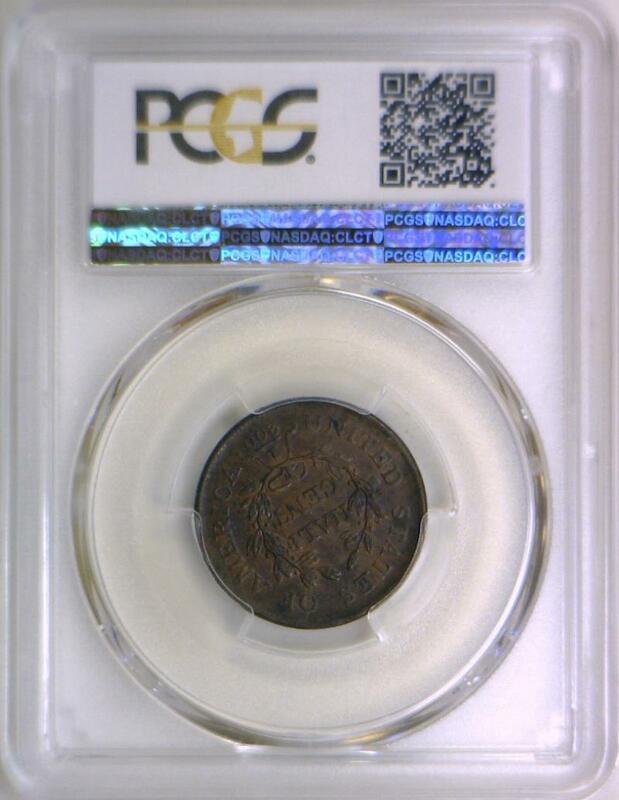 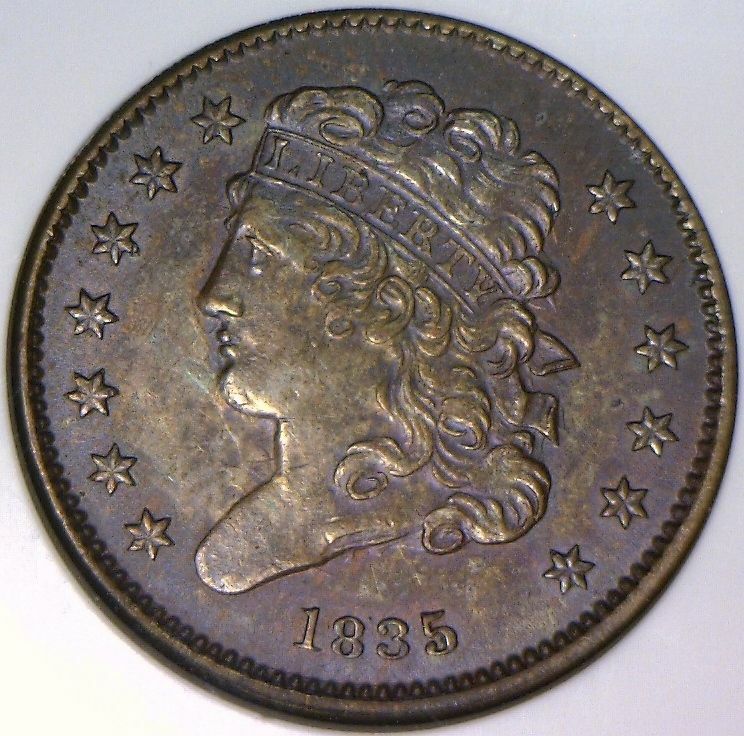 1809 Half Cent PCGS AU-53; C-6, E.D.S. 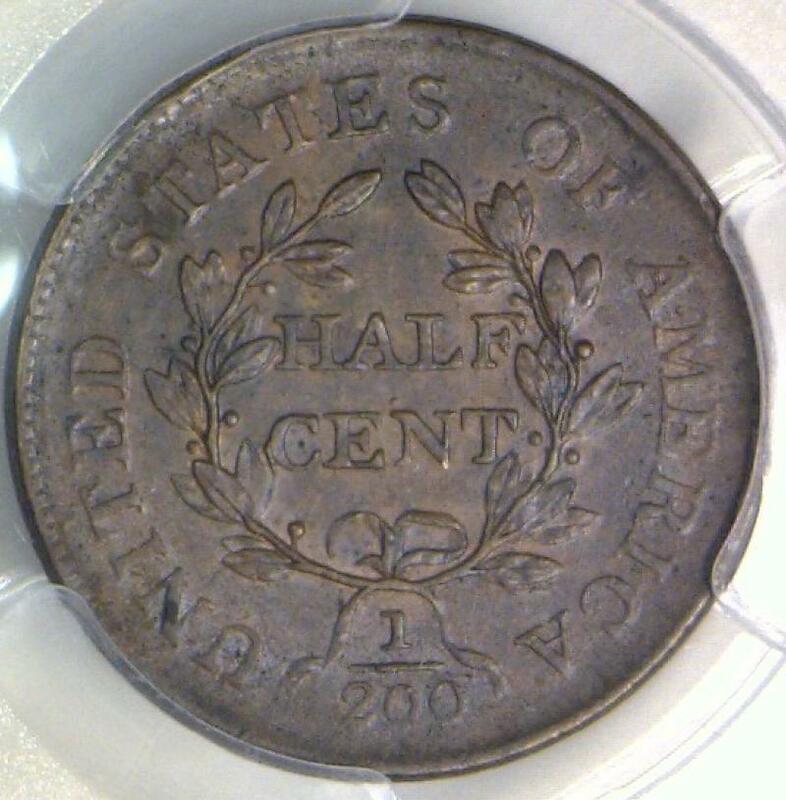 1802/0 Reverse of 1802 Half Cent PCGS G-04; Smooth, Choice! 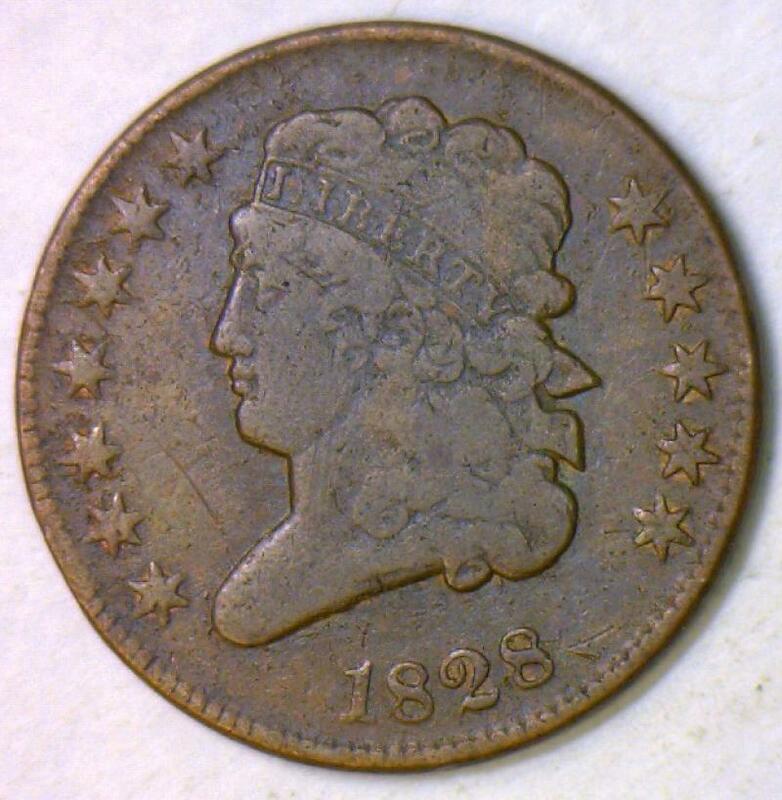 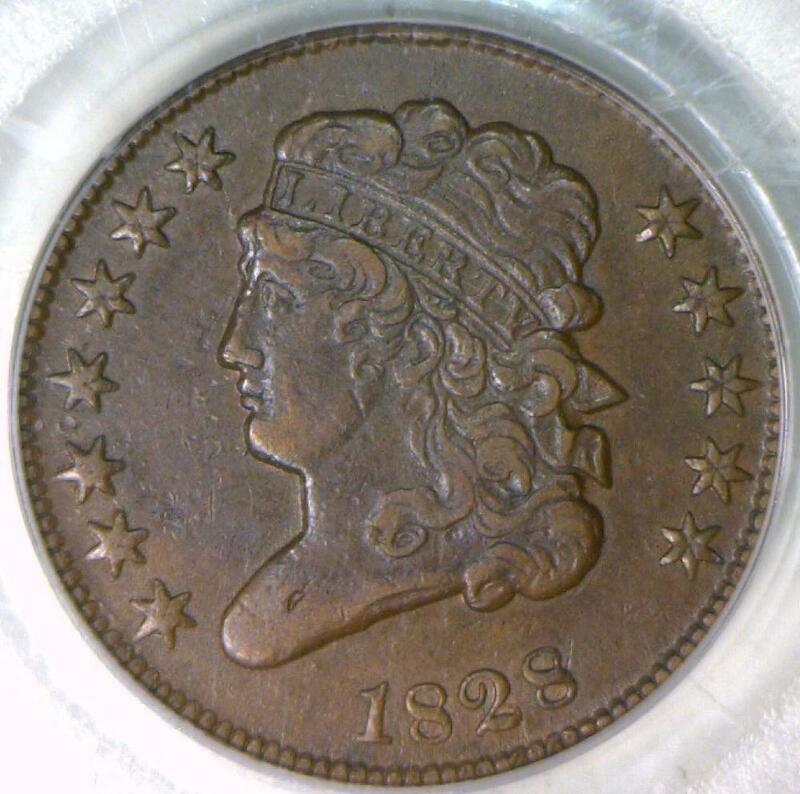 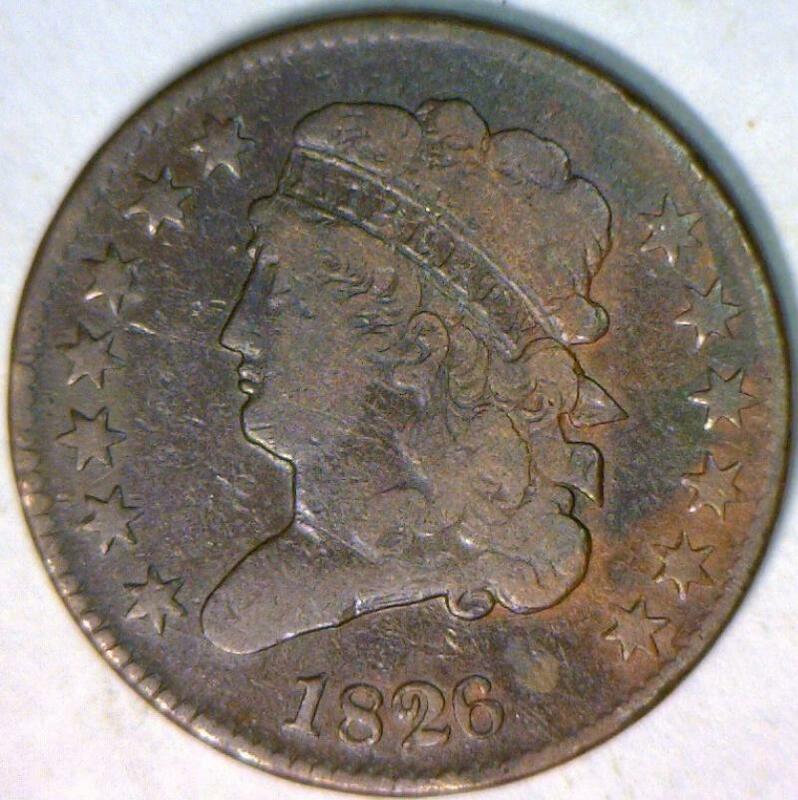 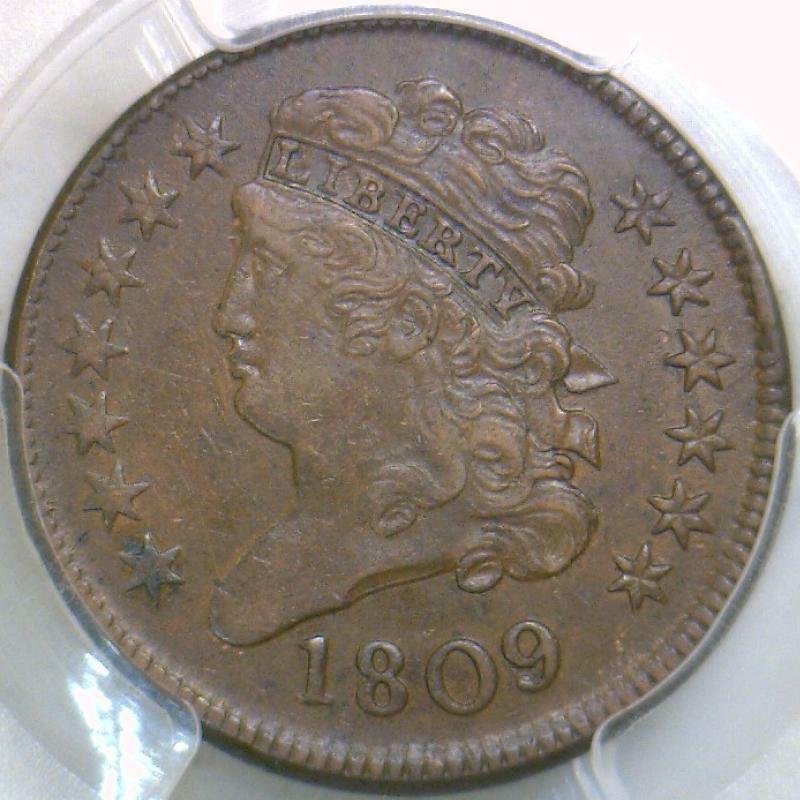 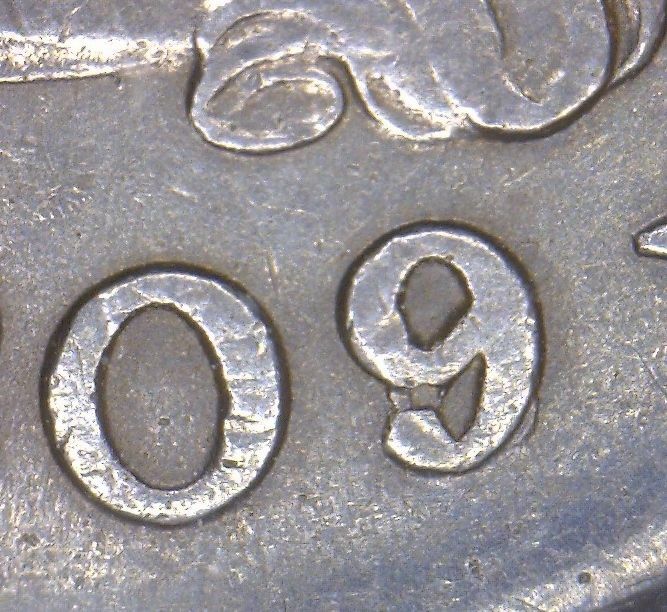 1806 Half Cent PCGS AU-53; Small 6, No Stems; C-1; Nice Type Coin! 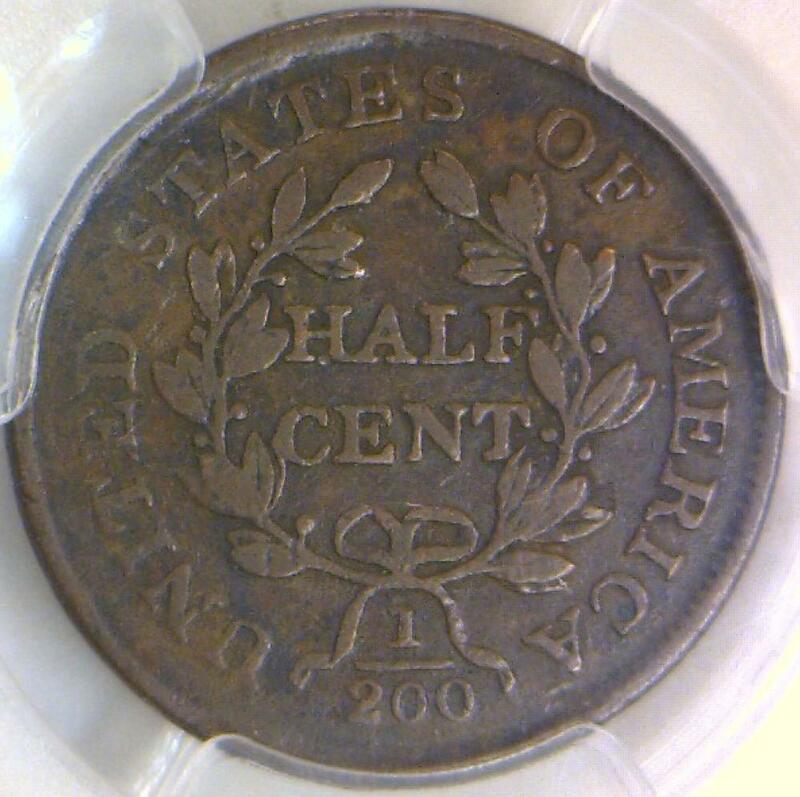 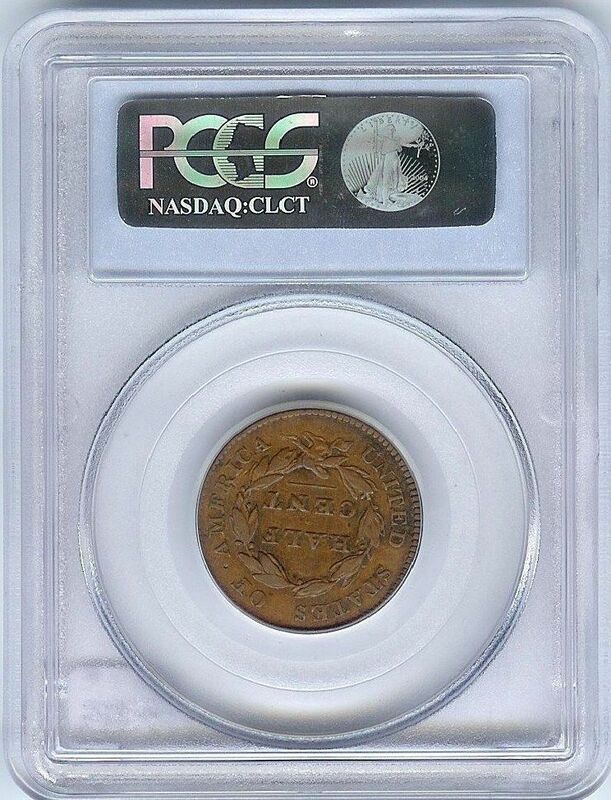 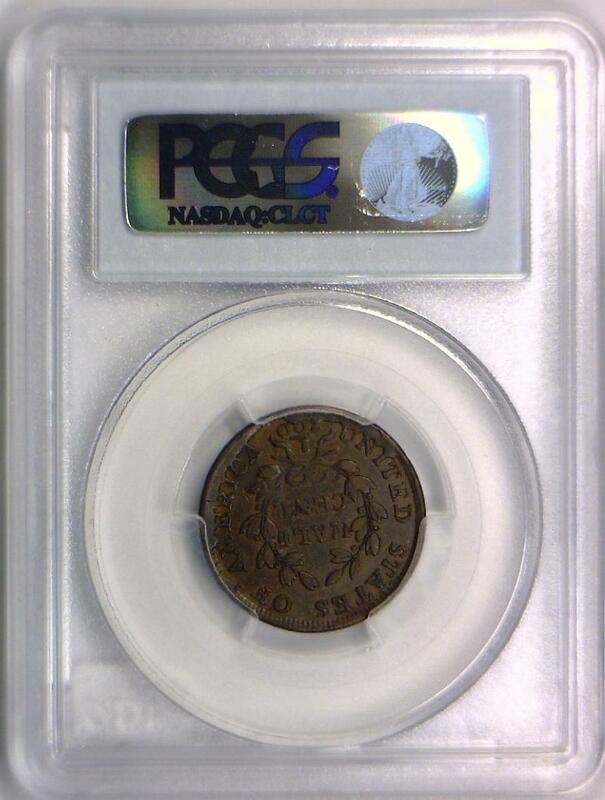 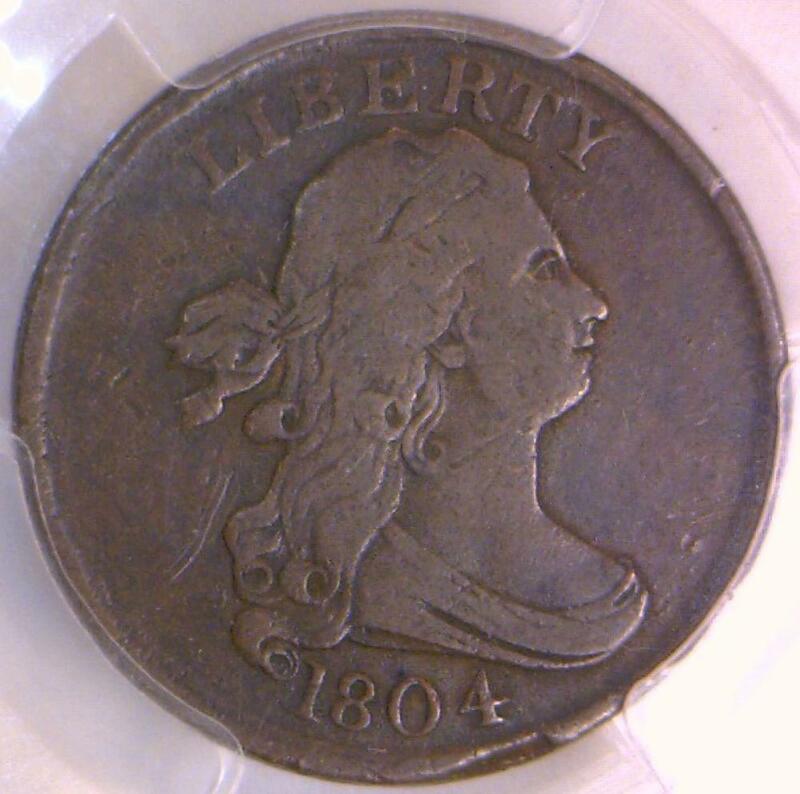 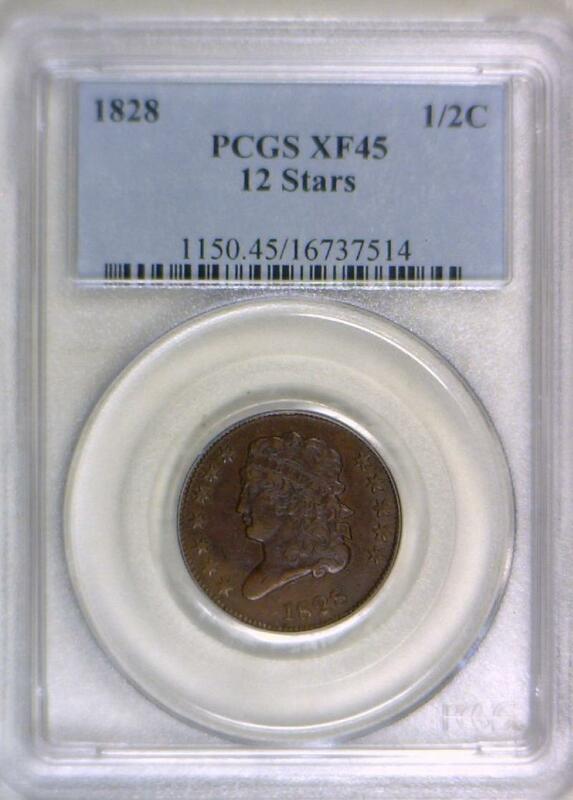 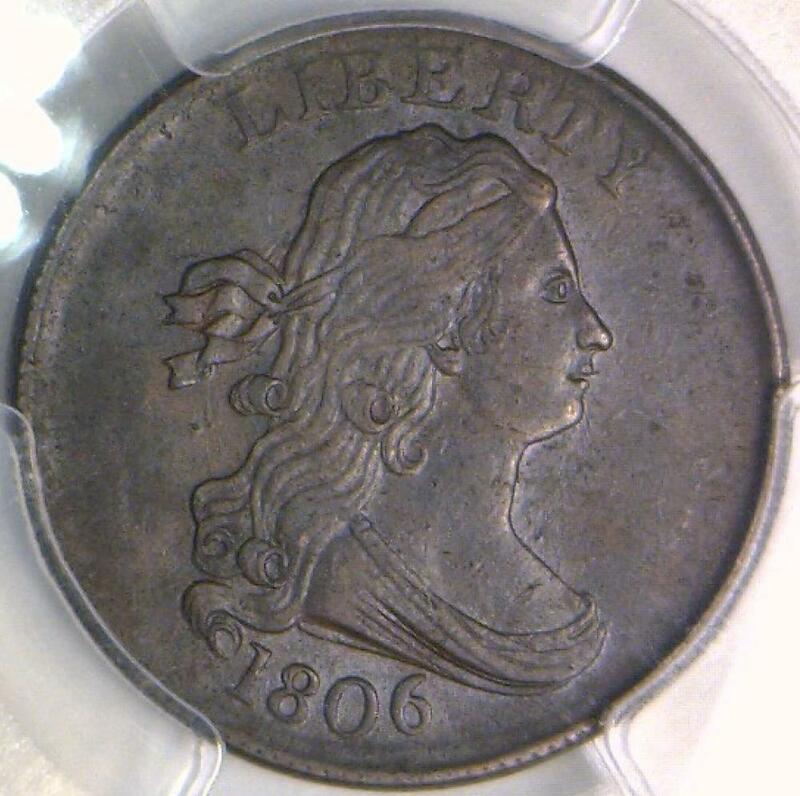 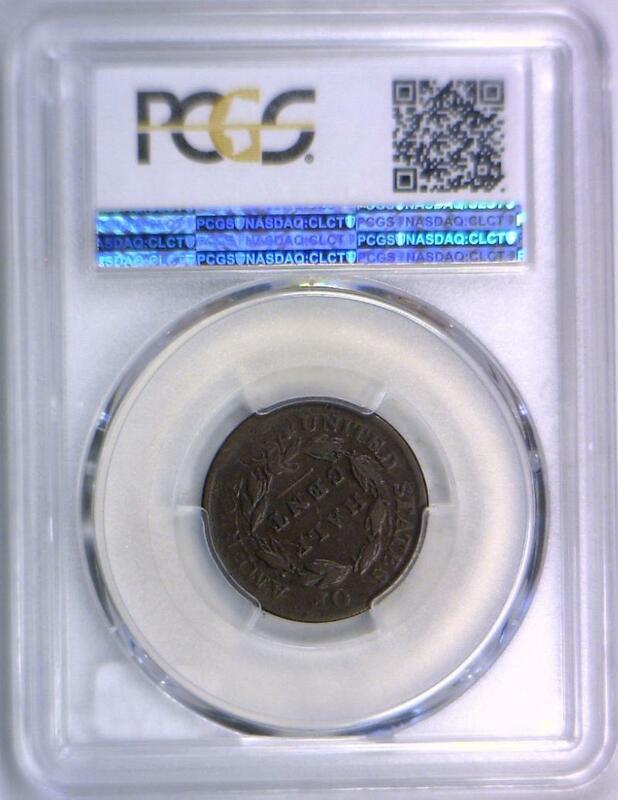 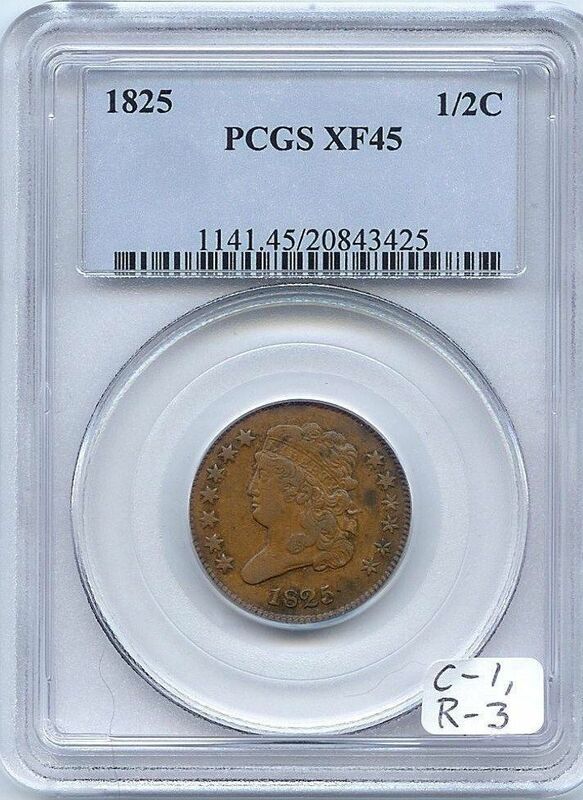 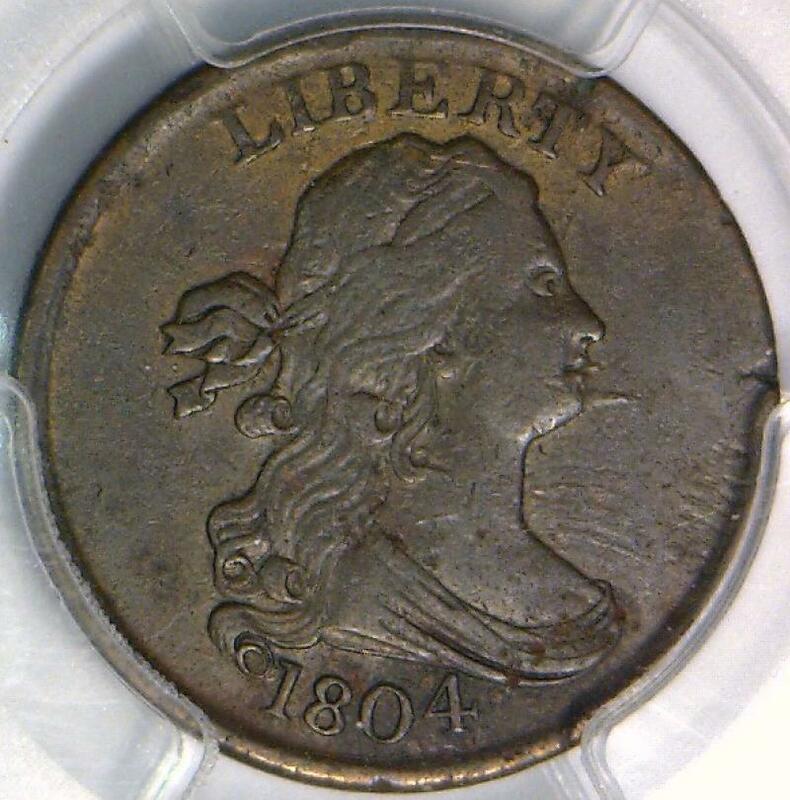 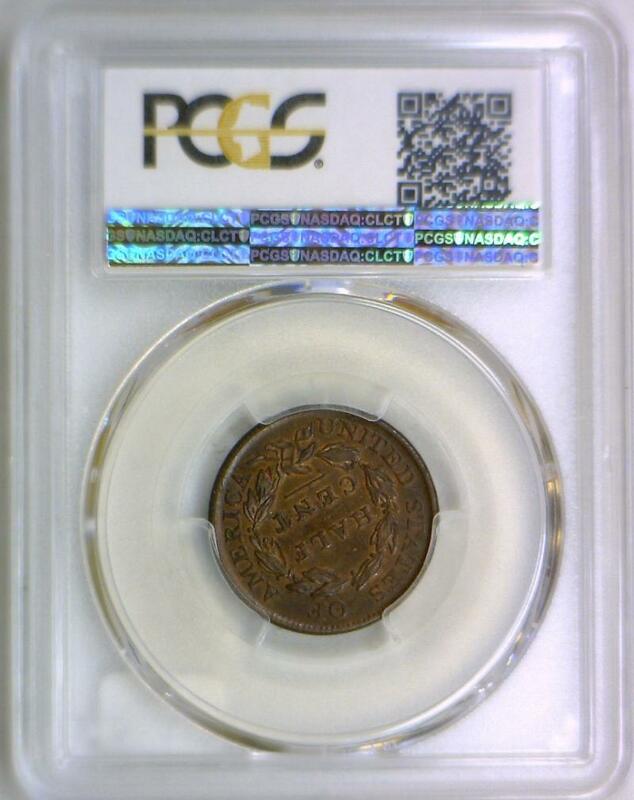 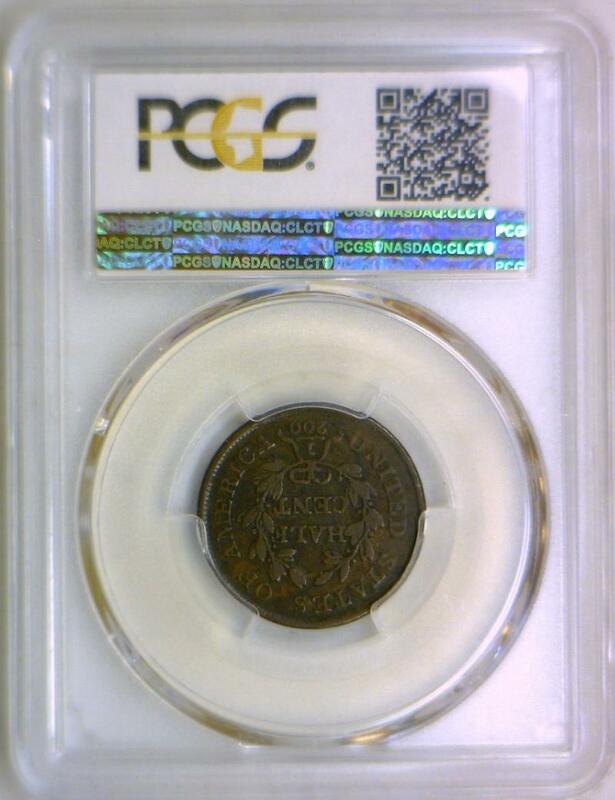 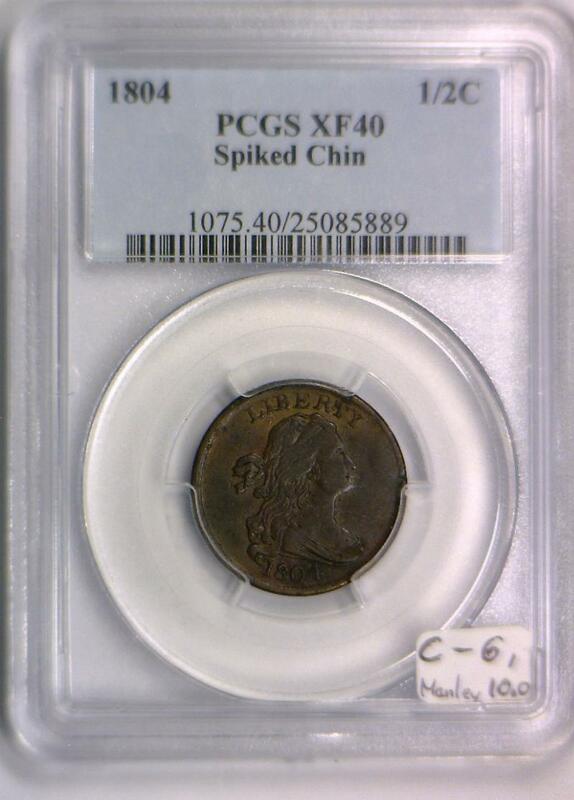 1797 1 Above 1 Half Cent PCGS F-12; Smooth, Choice!